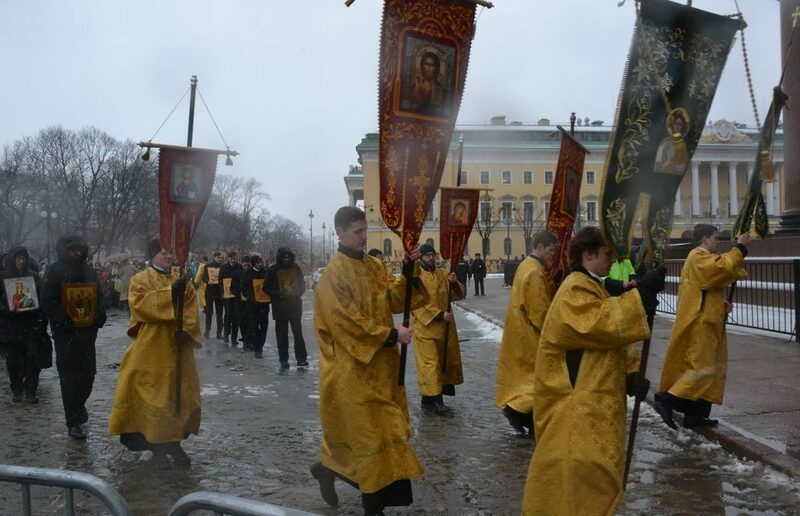 The Russian Orthodox Church (ROC) has found another reason to hit the news. After launching a campaign to take back the St. Isaac’s Cathedral in St. Petersburg, it made headlines by announcement of the wish to celebrate the St. Patrick’s day and do it in accordance with the Gregorian calendar, i. e. on March 30 while the rest of the world celebrates it on March 17. As ROC’s representative told media, the Church’s Holy Synod considered a list of ancient enlighteners to include in the 150-strong list to honor by the ROC on March 9. Saint Patrick was one of those to be officially prayed for in Russia from now on. St. Patrick acted as a missionary in Ireland before the split of the Christian Church into Catholic and Orthodox parts, and for this reason he’s being honored by the both Churches, though in Russia he has not still been honored officially. In St. Petersburg, the festival is celebrated, though not so widely as in Ireland and other countries with vast Irish diasporas. There are usually a few actions happening in the streets, and in pubs the city converts in St. Patricksburg as green color abounds there. One important thing: the Russian Orthodox Church will be celebrating the St. Patrick’s day on March 30, not 17 because of the difference between the Julian and Gregorian calendars. What about ordinary people? They will surely follow the global trend and put on their green clothes on March 17. See St. Patrick’s day celebration at one of St. Petersburg’s pubs in 2016.